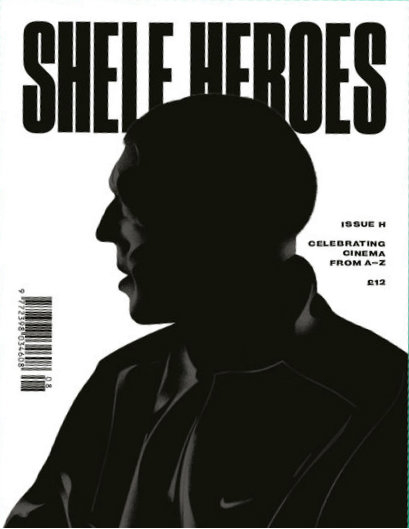 166 pages of illustrations, articles, stories and poetry inspired by movies beginning with the letter H.
The Shelf Heroes zine is an intermittent printed fanzine created by people who love cinema. It celebrates great (and not so great) films one letter at a time. Collecting submissions from a diverse gang of artists and writers, each issue pulls its inspiration from films beginning with a chosen letter of the alphabet – imaginatively starting with A. Think Alien, Apocalypse Now, Avatar and American Ninja 3: Blood Hunt. With no brief other than to “pick a movie and do whatever you want”, we’ve produced a publication as diverse and individual as the moving images that inspired it. Shelf Heroes is run by Ben Smith. The biggest issue yet. 166 pages stuffed with illustrations, articles, stories and poetry inspired by movies beginning with the letter H.
If you're a fan of La Haine, Hook, Heat, Hausu, Hellraiser, Hulk, The Holy Mountain, Harold and Maude, Hot Fuzz, Holy Motors, Hiroshima Mon Amour, or any film with a 'house' in the title... then this is the issue for you.